Remember, Conversion Rate Optimization (CRO) is data-driven. But before you can start interpretting data, your website needs to be fully-equipped to start gathering it. The initial steps outlined in this article are crucial to preparing your marketing for success and getting the best results from your A/B tests. If you need more detail on each step, review The Conversion Rate Optimization Process here. Following the ResearchXL model for data gathering, perform the following analysis for each page you want to improve conversions on. Heuristic analysis – Review the page for any obvious errors in relevancy, clarity, value, friction, and distraction. Technical analysis – Look for technical glitches by running cross-browser and cross-device tests, as well as speed tests. Web analytics analysis – Review your analytics and look for pages with high bounce rates and exit rates to identify holes in your conversion funnel. Mouse-tracking analysis – Use mouse-tracking software to see which areas on the page get the most attention and which areas are being ignored. Qualitative testing – Send email surveys or run on-site surveys to get feedback from users. User testing – Assign a user a specific task and watch them in-person to see how they interact with your website and get real-time feedback. 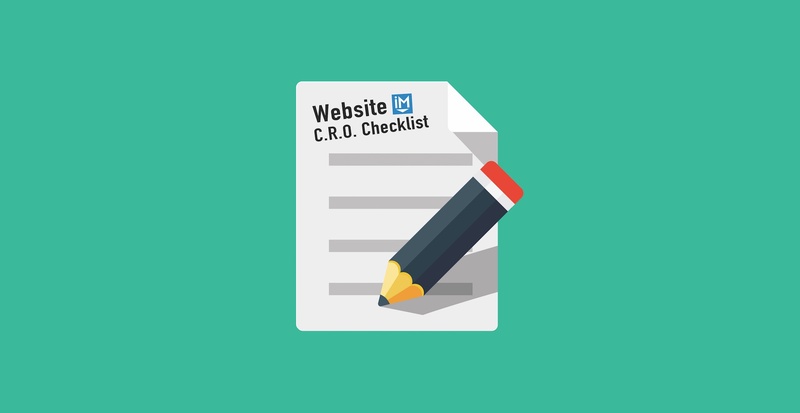 Collect all of this information into a master document that you can refer to, and update, as you implement CRO tests. These are the metrics that are most likely to be affected by your A/B tests. If a test doesn’t impact conversion rates very much, you can refer back to these metrics to see if the test had any impact at all. You should always be testing and refining your website. It’s never-ending because online user behavior is always evolving and your website will always need to keep up. If I change X, I estimate I will get Y result. Test headlines, subject lines, and titles. Try different variations using intriguing adjectives, specificity, urgency, numbers, and making a bold statement. Test short-form vs long-form copy. The general rule of thumb is the more complicated and/or expensive the offer is, the longer the copy needs to be, however, each situation is unique and that’s why we do CRO. Our first instinct when describing a product or offer is to list the features. This makes sense logically but it’s not very persuasive and isn’t the best for improving conversion rates. Instead, test various benefits that you can extract from those features. How Do Color & Design Actually Affect Inbound Conversion Rates? You CTA is critical to conversions because it asks the user to take the final step. The last thing you want is for a prospect to venture through your conversion funnel and walk away because of a weak CTA. Once you’ve formed your hypothesis, it’s time to put it to the test. Before doing so, create a wireframe or outline to make sure your test is viable. You don’t have to create a wireframe if you’re only making a small tweak, such as a headline variation, but, any alterations that affect the layout of the page should be visually outlined before you implement so you can do a final evaluation. Is there a clear path to conversion? Is the CTA easy to find and attention-grabbing? Does the design match the message of the content? How does the new element look on the mobile layout of the page? Once you’re confident that the new change will improve the page, proceed to implement your test. Run your A/B test using CRO software or the A/B testing feature in HubSpot. Don’t stop your A/B test until you’ve reached statistical significance and met the required sample size. Popular CRO tools include Optimizely, Visual Website Optimizer, and Unbounce, while this A/B Test Sample Size Calculator can help you choose the right audience size. After you’ve completed your A/B test, review the results and apply the winning version of your test to your website as the new default version. What was the change in conversion rate? Did any other KPIs noticeably change? From there, you can either repeat the same test with a new alternate version or you can move on to different tests. The content above was an excerpt of our new guide, "The Inbound Master's Guide to Conversion Rate Optimization" To learn more about CRO, testing, and how HubSpot can be used in these efforts, get your free copy of the full guide by clicking "Get it Now" below.